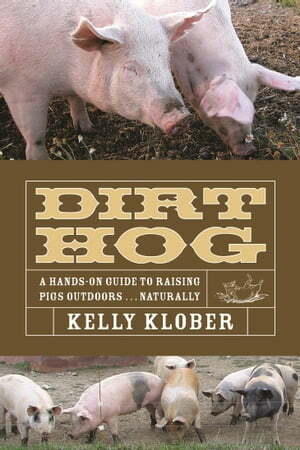 Collins Booksellers - Dirt Hog by Kelly Klober, 9781601730534. Buy this book online. In today's market, range-rearing of swine provides the family farm with a key venture for diversification and cash flow-perhaps no other large animal enterprise offers as fast a turnaround on investment. Range-produced pork is now sought out by the informed consumer concerned with the issues of production and willing to pay a premium to get it. This comprehensive manual on raising hogs the natural way includes sections on housing and fencing, selection and breeding, herd maintenance, feeds and feeding, marketing and more.